-Day 2 started a little earlier than Friday, but the convention was that much more packed as we have reached the weekend. Today I saw many Harley Quinn cosplays, and a few of the IGN staff. Good, productive day. -Today it was decided that we would get some more hands-on with some games. On the walk to the Convention Centre we walked among the many headed in the same direction and entered among the throng, heading straight to the fourth floor. -Today we were 4, as a new addition entered into Seattle the night before, so the first step was another tour of the exhibition halls. 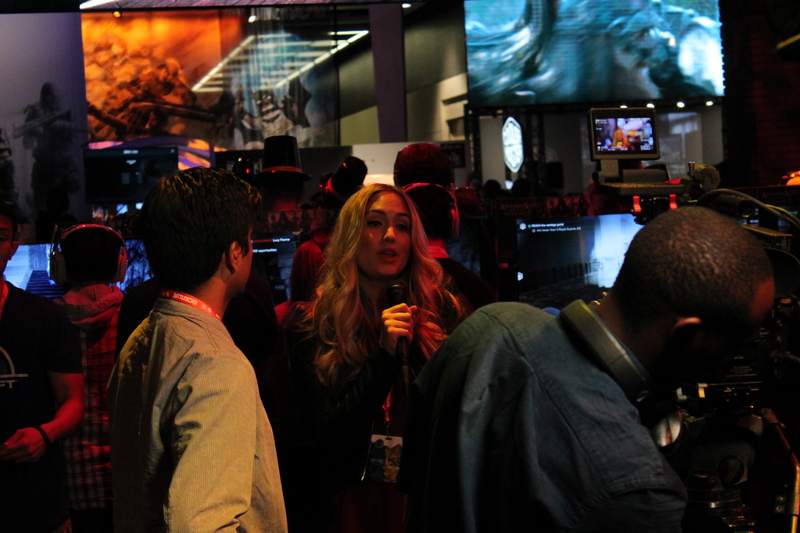 First IGN celebrity viewing was none other than Naomi Kyle, Daily Fix host. -Next up we walked through the Mega Indie Booth and watched some 4-player Gang Beast fights. A physics brawler, where 4 beasts square off melee, sumo, wrestling style. The point is to punch and slam each other and then pick up your opponent, Royal Rumble style, tossing them out of the arena. Looks fun. 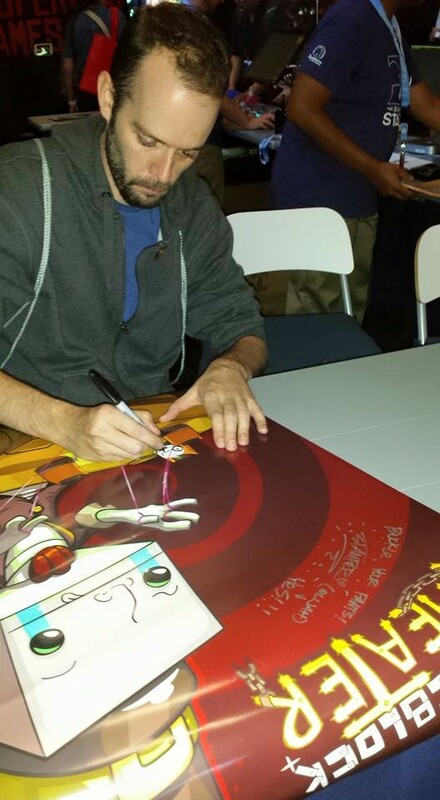 -We also caught a bit of the game Drawn to Death. a shooter, where everything is drawn in pen like it was on scrap lined paper at the back of class. -Next up we walked through the Microsoft/Xbox territory. 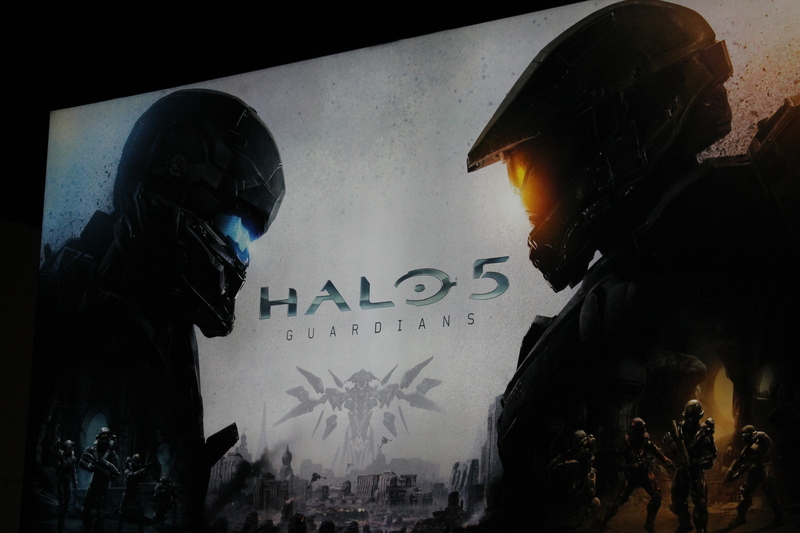 Caught a glimpse of some Halo 5, Forza Motorsport 6, and Rise of the Tomb Raider. I may try for some hands-on tomorrow or Monday. 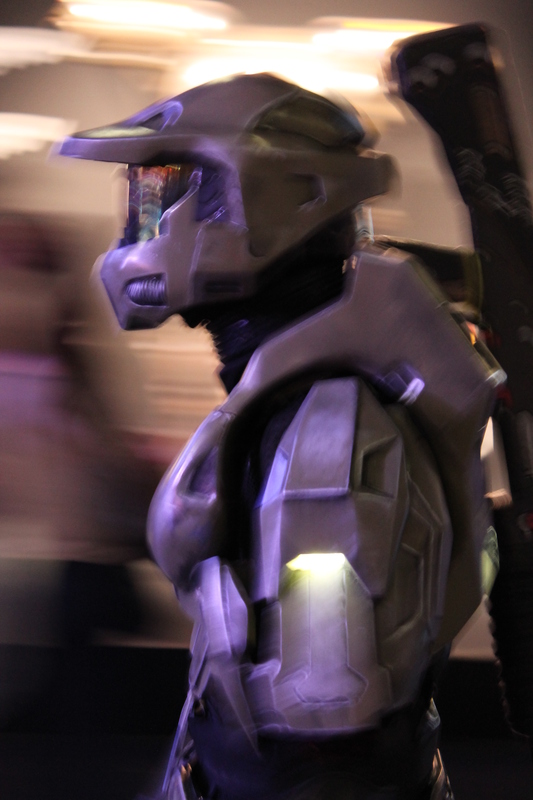 Halo 5 looks good, as expected, and Forza 6 looks nice with the water effects. 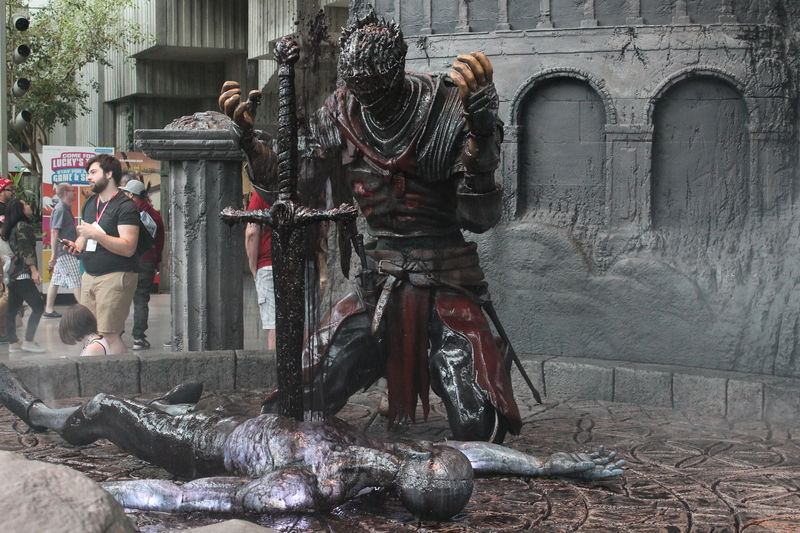 -After Xbox we went to check out the Square Enix booth. Square had a big showing this year with Hitman, Deus Ex, Final Fantasy XV, DragonQuest, and Lara Croft GO on display, among others. I got some hands-on with Lara Croft GO on the iPad and it was a lot of fun. A strategic platformer similar to Hitman GO. You can move one space per turn, and you follow along a track that can branch off, and everything else in the level moves in the same turn as you. – The levels I played took place in the jungle, and involved cliff walls, saw blades and snakes. Swiping the direction of choice, Lara moves and all the traps follow suit, so occasionally, for timing and placement reasons, backtracking is necessary to advance. The game looks nice, and plays smoothly. -I bought both Hitman GO and Lara Croft GO tonight and will give them both a play-through. For some reason I always thought they were iDevice only. -I saw some gameplay of the Final Fantasy XV Episode Duscae demo, and it definitely looks nice, but not my type of game. 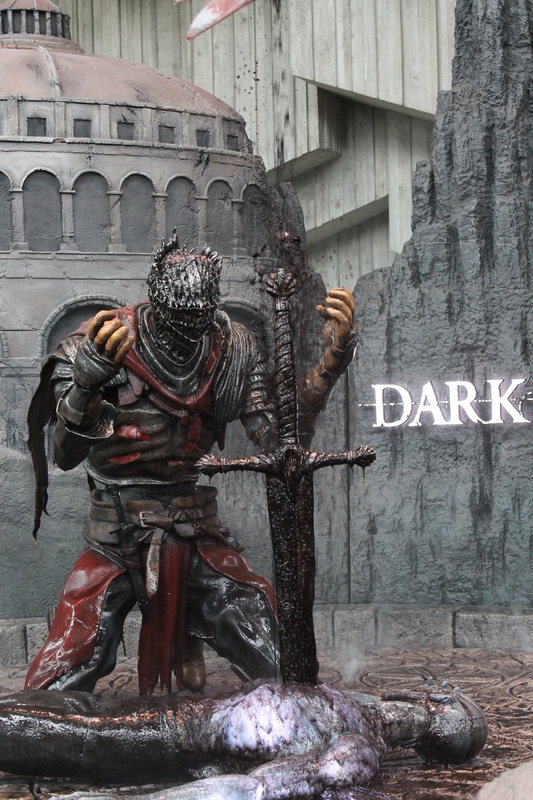 -On the way out of the convention hall for lunch we passed an incredible Dark Souls III statue and a Tomb Raider interviewing Elsa? -Off to lunch at the Elephant & Castle Pub under the Motif Hotel, and I ran into IGN’s Daemon Hatfield. Second celebrity sighting of the day. -After lunch, the plan was to get hands-on with a notable game. Today: Homefront: The Revolution. But first I passed Max Scoville and Brian Altono among the crowded hallways. They looked like they were busy so I didn’t bother them; 3rd and 4th celebrity sighting. 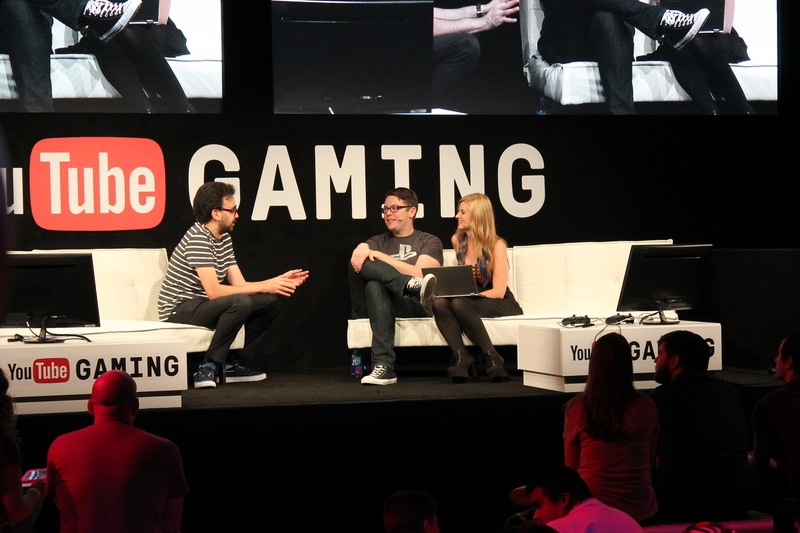 Also before reaching Deep Silver’s ground, we walked past the YouTube Gaming panel and watched Gus Sorola, Greg Miller, and Ashley Jenkins talk it out. -After a short wait in the Homefront line, we sat in a small theatre to preview the provided demo before given hands on. 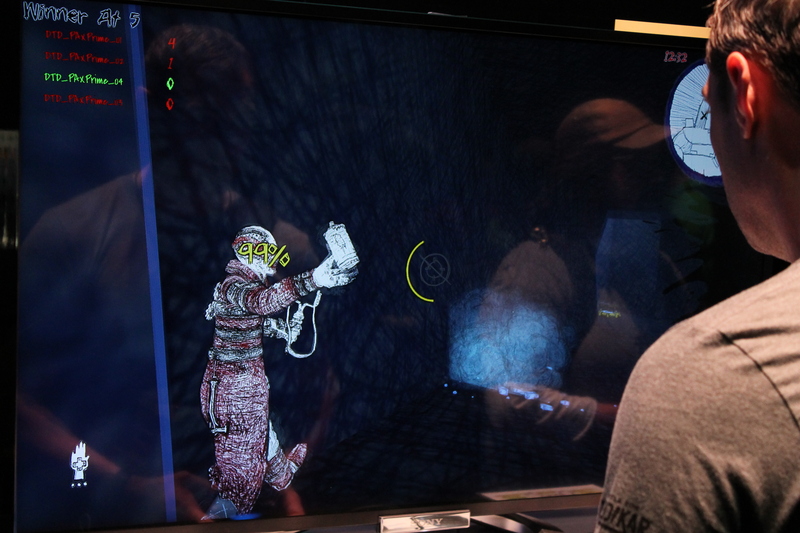 The demo itself was the same as present at E3 this year, but prolonged and with commentary explaining each step, gameplay feature, and objectives. We were then released onto our own dedicated hand-on playthrough machines, and given free rein. -Playing off a PC build with controller in hand, we got to play through the E3 2015 demo. Starting with the introduction of the objective to interrupt a patrol. Retreating is a gameplay mechanic encouraged at times because we can very easily become overwhelmed by the stronger enemy. Their units are more heavily armed and they have aerial scouts and trucks. Our own weapon modification ability is very cool. Probably through crafting in the real game, we can swap out gun parts and modify our gun on the fly. Swapping out sights, or grips, or even the barrel for something useful in the situation. Molotovs are featured heavily, and there is a hacking grenade available to take out the drone scouts, reversing their enemy logic. RC remote car bomb is also a handy toy. -The city is very open, and there are vehicles, like motorcycles available to use. Lots of ramps and stairs to utilize, and climbing plays a part in the exploration of the city. -The build we played seemed pretty flushed, but still early. Pre-alpha, with an indication of a Spring 2016 release. The game feels a lot like Far Cry, which is not a complaint. -Last up for my day was some shopping. I was able to grab the full set of Borderland Pop Vinyls from the 2K store, and another Castle Crasher knight from the Behemoth store – an annual tradition – as Tom Fulp, Dan Paladin, and Will Stamper are on hand daily to autograph the way they know how: hilariously. 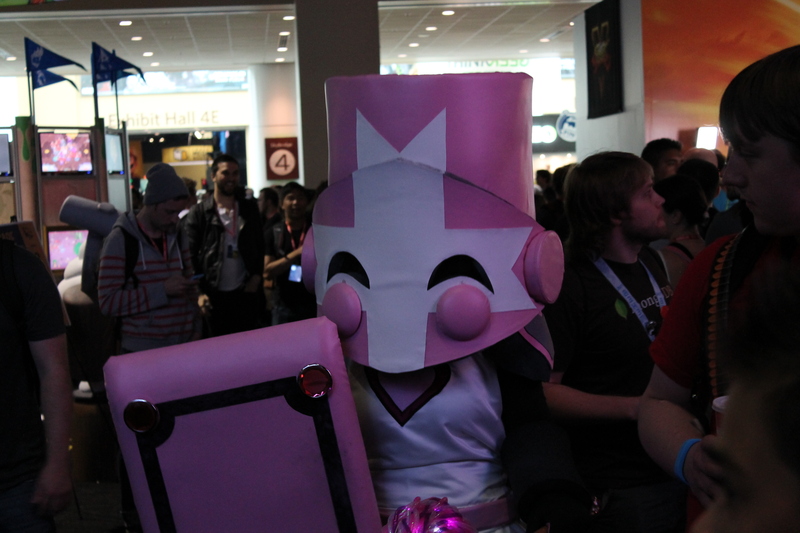 -And then the Pink Knight showed up, in coincidental fashion, and made everyone’s time a good time. -Pizza and a movie to wrap the day in the windy, pouring rain. Until tomorrow, Day 3. 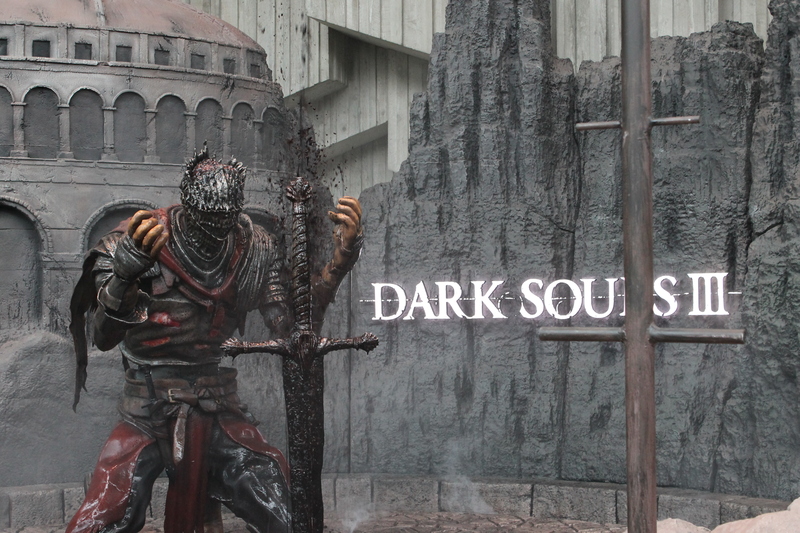 This entry was posted in Feature, PAX and tagged Behemoth, Dark Souls 3, Drawn to Death, Games, Gaming, Gang Beast, Halo, Homefront The Revolution, IGN, Lara Croft GO, PAX, Pax Prime 2015, Square Enix, Video Games, Will Stamper, Youtube Gaming. Bookmark the permalink.